This was a tea that I picked up from Aroma Tea House’s vendor table at the 2017 Vancouver Tea Festival. 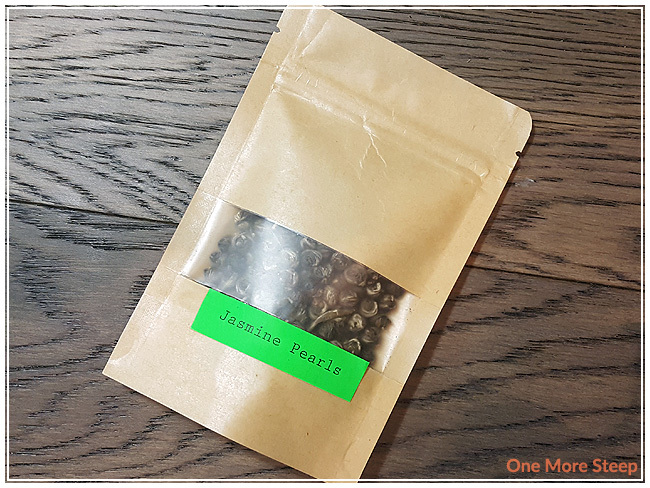 Jasmine Pearls came to me in a resealable bag with a little window to see the tea leaves. The tea leaves are tightly wound into tiny pearls, and they’re quite fragrant. 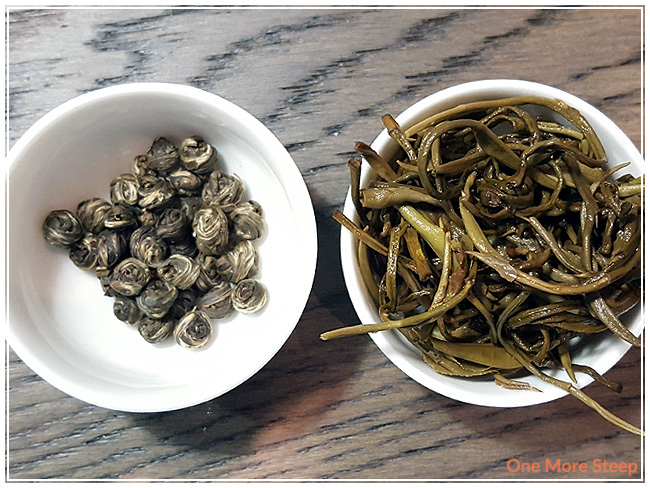 These green tea pearls have a beautiful floral aroma, the tea pearls have a sweet floral aroma that is inviting. There were no tea preparation notes on the packaging, or on the Aroma Tea House’s product page. I did the initial steep at 175°F (80°C) for 2 minutes. 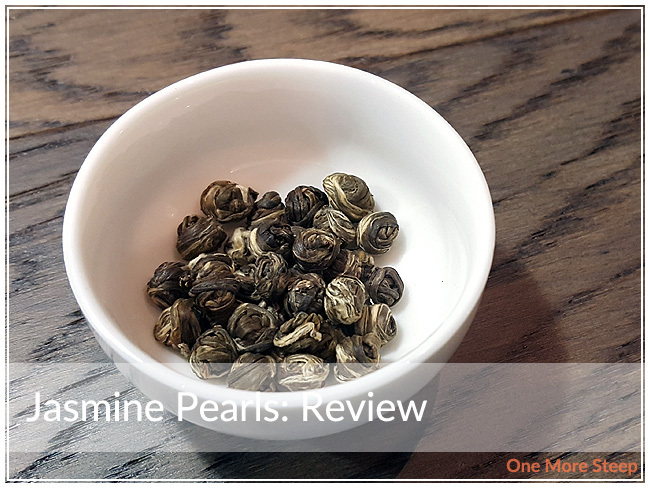 Jasmine Pearls steeps to a very pale yellow after the first two minutes of steeping time. I found the flavour to be very mild and noted that the pearls to be only partially opened. There’s a mild earthiness that I noted with the tea, and the tea has a very smooth texture to it. I enjoyed having the first steep. I resteeped the Jasmine Pearls a total of four times. With the first two resteeped, the leaves opened up a bit more each time. I found that the colour got darker, and the flavour got more pronounced. 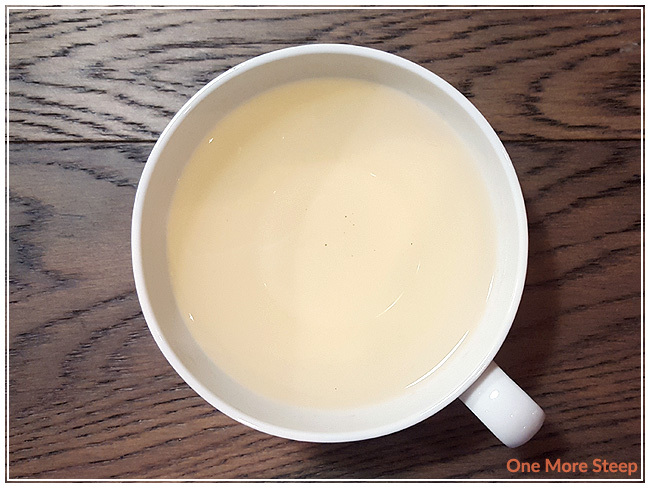 I kept the steeps short (adding an additional 30 seconds with each steep), and found that there was zero bitterness or astringency with this green tea. I loved Aroma Tea House’s Jasmine Pearls. 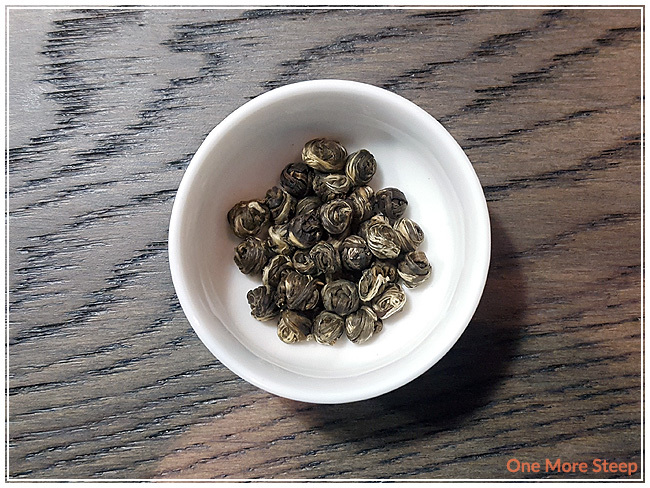 The pearls are beautiful to watch unfurl, and I really enjoyed the jasmine fragrance from the dry tea leaves and the steeped tea. The tea steeps well at the temperature and length of time I picked, and found the lack of bitterness or astringency to make the tea quite enjoyable. I think it’d be a nice tea with sweets because of the light floral sweetness in the tea.